The official distance of the longest uninterrupted section of Route 66 is 154 miles. That, however, doesn’t include little segments between Crookton Road and Topock, such as Chadwick Drive in Kingman. So, I settled on 160-Miles of Smiles as the basis for an innovative marketing campaign. The central premise is that Kingman is more than a mere stop on the way to somewhere, it is a community located at the very center of a vacation paradise. As an example, in addition to the 160-mile Route 66 corridor peppered with an array of attractions that range from Angel’s barbershop in Seligman and Grand Canyon Caverns Resort to the Hackberry General Store and Oatman, consider the other attractions in the Kingman area. 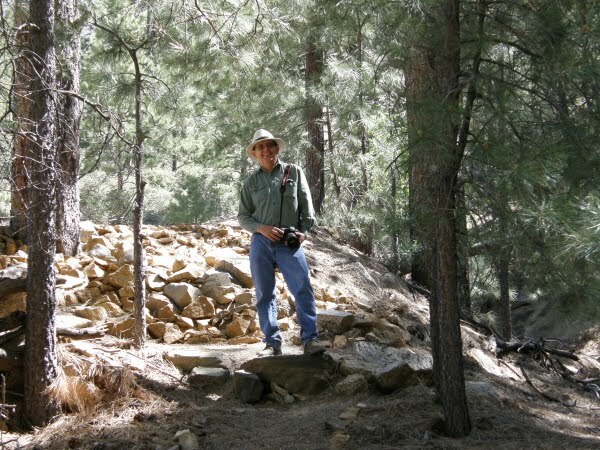 The forested Hualapai Mountain Park with its lodge, motel, and miles of shade dappled trails is a mere twelve miles south of Kingman. Grand Canyon West with its internationally acclaimed skywalk is sixty miles to the north. 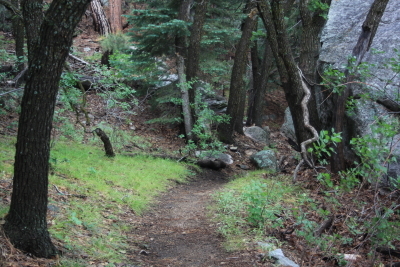 In the foothills of the Cerbat Mountains, embracing the city at the northwest edge along U.S. 93, are miles of scenic hiking and mountain bike trails. They course through towering monoliths of stone and past historic sites such as Fort Beale. Accessed via Route 66 are the only road to the Colorado River at the bottom of the Grand Canyon and Supai with its thundering waterfalls. The latter is also the last community where the mail is delivered by mule train resultant of its remote location. Kingman is also home to several award winning museums including one that is the first of its kind dedicated solely to the history of the electric vehicle. To fully develop this marketing and promotional campaign born of efforts and initiatives to reorganize the Route 66 Association of Kingman, and the success of the Illinois Blue Carpet Corridor tour, I first need to market and promote the concept. 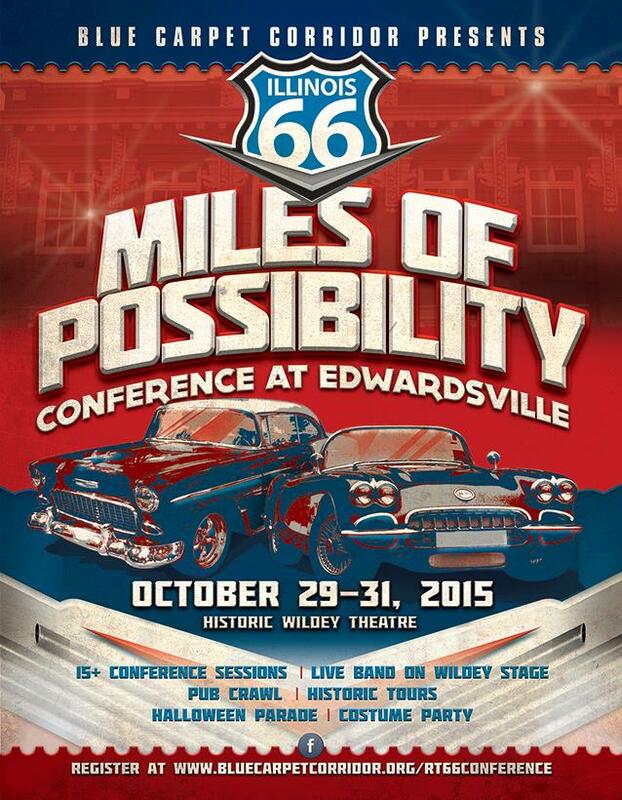 Both of these components figure into my presentation during the Miles of Possibilities conference that takes place the last weekend in October as part of the Route 66 festivities and convention in Edwardsville, Illinois. Arguably, Route 66 should be quite easy to market as that highway has an almost unimaginable international recognition. What hinders the marketing of the road which is crucial for preservation as well as development could simplistically be placed in two categories. One, there is an almost complete lack of unity within the Route 66 community. During the roads heyday the U.S. Highway 66 Association linked businesses and communities in high profile promotions. In addition, this association served as an advocate for the entire corridor. To date, during the highways renaissance that centralized type of support structure has been lacking. The long term goal of the National Park Service facilitated Route 66: The Road Ahead Initiative is to rectify that problem. Even though the project has been under development for almost two years, most of the work has been behind the scenes. With the forthcoming workshops and town hall meetings that will change in a rather dramatic manner. This is the link for the initiatives official website that contains a mission and goals statement as well as information pertaining to the public meetings. The second issue is that the current promotion of Route 66 is akin to preaching to the choir. There is a need to reach out to a new demographic and infuse them with a passion for this highway, as well as its unique culture and its infectious camaraderie that makes every stop and festival seem like a family reunion. That is why I am so excited about Scott Piotrowski’s ongoing work to host a huge multifaceted 90th anniversary celebration of Route 66 at the highways original western terminus in Los Angeles next year. I can’t imagine a better place for introducing the allure of Route 66 to a new audience than in the middle of the nations largest metropolitan area. There is another exciting endeavor currently under development and that is the work of Candacy Taylor. If you are unfamiliar with her projects I suggest beginning with this website. In my neighborhood there are 160-Miles of Smiles awaiting discovery. That, however, is only part of the 2,000 plus miles of smiles that is an adventure on Route 66 from Grant Park in Chicago to the Last Stop Shop on Santa Monica Pier.